This savory pork sausage with smoked jalapeno peppers and cayenne is out-of-this-world good! A bit of brown sugar balances the heat from five kinds of peppers. Hot, but no overpowering. The smoky aroma while they’re grilling will bring in your neighbors. Chop a leftover sausage into your scrambled eggs with green and red bell peppers and onions for a great weekend breakfast. No msg, gluten-free. 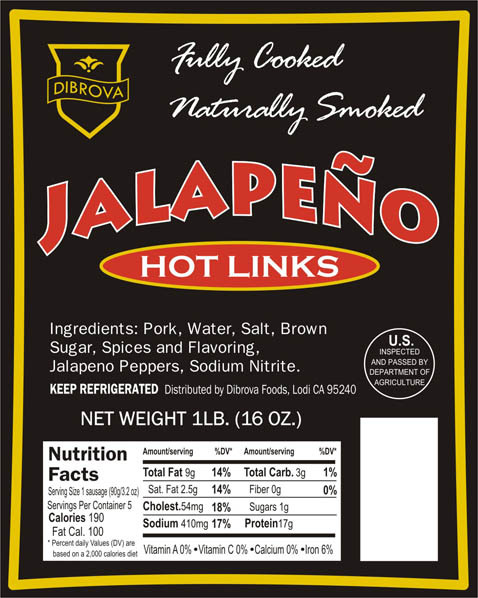 Copyright © 2011, Dibrova Foods, Inc. All rights reserved.